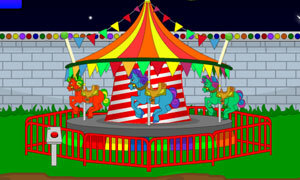 Escape the Crazy Carnival is new escaping game by Flonga. You were having fun at the carnival when suddenly there was a zombie outbreak! Green creatures appeared out of nowhere and started attacking people and things. One of them broke the exit system and now everyone is trapped inside!